The Newmarket Chamber of Commerce has been the voice of business—and part of the community—since 1857. We believe the success of local business goes hand in hand with a strong and positive community. Our initiatives, such as Awesome Foundation Newmarket, Smart Commute Central York, Shop Davis and Shop Yonge reflect that. Discover more about the Chamber. You have everything to gain. Though Newmarket officially became a town in 1880, it has more than 200 years as a community under its belt. Founded in 1801 as a Quaker settlement, the agricultural community surrounding the Holland River was home to the first fur trading post and the largest farmers’ market in the area. The first residents built lumber and textile mills, a tannery, and a distillery. The “New Market” quickly became the centre of agriculture, trade, commerce and small industry north of the “Old” market of Toronto. 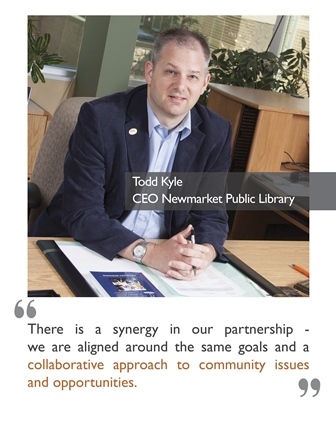 Discover what the Town of Newmarket has to offer. While it’s true our Town has been around a while, like the Newmarket Chamber, it’s anything but staid. Along our downtown core, you’ll find new and innovative businesses housed in well-preserved historic buildings. Heritage sites, plaques, and markers can be found throughout the older parts of the Town, making it a great walking destination. A wide selection of both large retailers and boutique shops, restaurants with welcoming patios and plenty of beautiful green space, make the Town of Newmarket a great spot to visit again and again. Looking for tourism info? Visit YorkScene.com for more info including events, hotels, and maps.